English Shepherds are easy to train and easy to love! But they also have some specific needs and, if you’re not ready or able to meet those needs, both you and your dog will be unhappy. #1 What Makes an English Shepherd Unique? #2 What Kind of Personality Can I Expect from my English Shepherd? #3 What Is a Healthy, Balanced Diet for My English Shepherd? #4 Does My English Shepherd Need a Lot of Grooming? #5 How Much Exercise Does My English Shepherd Need? #6 What Are the Potential Deal Breakers of Owning an English Shepherd? They shed. Like a lot. An English Shepherd is a medium to large sized herding breed that loves to run around. So they don’t really do well in apartments unless they are taken on regular walks. They’ve got beautiful, long coats that come in a variety of different colors. Like all dogs, personality depends on how they were brought up. If you don’t take the time to socialize your puppy and train the basic obedience skills, you’ll end up with a wild, unruly, and antisocial dog. On the other hand, if you put the time and energy into training and socializing, you’ll get a wonderful, loving dog who will become a great member of the family. English Shepherds make great family pets because they are gentle and patient with kids. They are also tolerant of other animals, including cats (see video below for proof). But you’ll still want to make sure your other pets are accepting of the new English Shepherd too. Aside from that, they are very easy to train, thanks to their high intelligence, responsiveness, and friendliness. Overall, this breed has the potential to be the dog that every dog owner dreams about. If you can’t fit real food for your dog into the budget, look for a high-quality kibble that doesn’t have any artificial preservatives or flavoring. It should also be free from nutrient-poor fillers like corn, potato, and other starchy ingredients. Lay out a tarp or old sheet so that the fur doesn’t get stuck in your carpet. Use a brush designed to deal with long, thick coats. Start from the top and brush every inch of your dog. You’re going to have to go over most spots a few times to remove all the loose fur. Vacuum up the excess fur on the tarp or sheet—or build yourself a new dog out of it, you’ll probably have enough! For the best results, you should actually do this daily. That might sound like a lot, but it can be a kind of relaxing experience for you and your dog. Plus, all your other friends who own this breed will be completely mystified by your (almost) fur-free home! An adult English shepherd needs about one hour of exercise per day. You don’t have to do this all at once. If you’re pressed for time, you can split that up into 2 or 3 shorter walks. If walking isn’t your cup of tea, try a game of fetch or playful wrestling. The key is that they get a total of one hour of physical activity every day. As a bonus, that hour will do your body good, too! If you can’t take your dogs for regular walks and you don’t have a big enough yard to let them run around in, they will get bored. That boredom and pent-up energy are going to come out in the form of barking and destructive behavior. So either you need to take your pup out for one or two walks per day, or you need to hire a dog walker to do it for you. But to be perfectly honest, if you don’t have the time to exercise your dog regularly, you should probably consider a lazier breed. For even more detailed information about how to take care of your dog, check out the English Shepherd Club. This breed is lucky enough to have an actual nonprofit organization dedicated to helping owners give their English Shepherds the best possible life. These guys were bred to be herding dogs (hence the name “shepherd”). So if there’s anyone or anything wandering about, your English Shepherd is going to feel an overwhelming urge to herd them somewhere. They’ve got stamina, too, so they can really commit to the chase once they’ve set their mind to it. Now, if you own livestock, this might sound like great quality. But if you live in a city or the suburbs, you probably don’t have much need for herding skills. 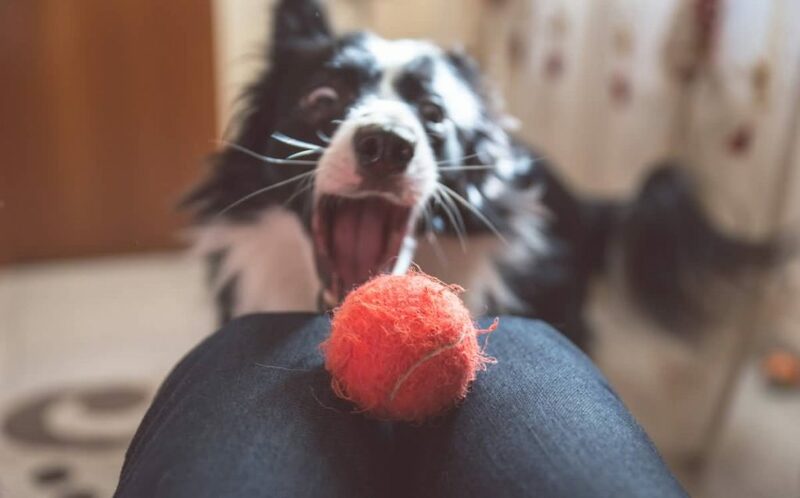 So you’ll need to take some time to train your pup to overcome this urge. Luckily, it’s a very obedient breed so it won’t take long to train this behavior out of them. No matter how hard you try, you just can’t seem to train a dog not to shed. And these guys shed all year round. On the bright side, they’re going to look super adorable while they curl up on the couch and get their fur all over you and everything you own. In my book, that makes up for the shedding problem. If that’s not enough, you can do your part to at least cut down on the amount of fur around your house. All you have to do is brush your dog. Follow the grooming tips you read earlier. If you’re looking for purebred English Shepherd puppies, prepare to sit on a waiting list for a while. There aren’t many of them, and the ones that exist are in high demand already. You can skip the waiting list if you are willing to go for an English Shepherd rescue center, especially if it’s already a couple years old and doesn’t have breed certification. I love English Shepherds. They’re sweet and adorable. I would definitely recommend rescues over brand new puppies from a breeder. Buying from breeders is risky because not all breeders are trustworthy. Moreover, rescues are more likely to have been trained already. 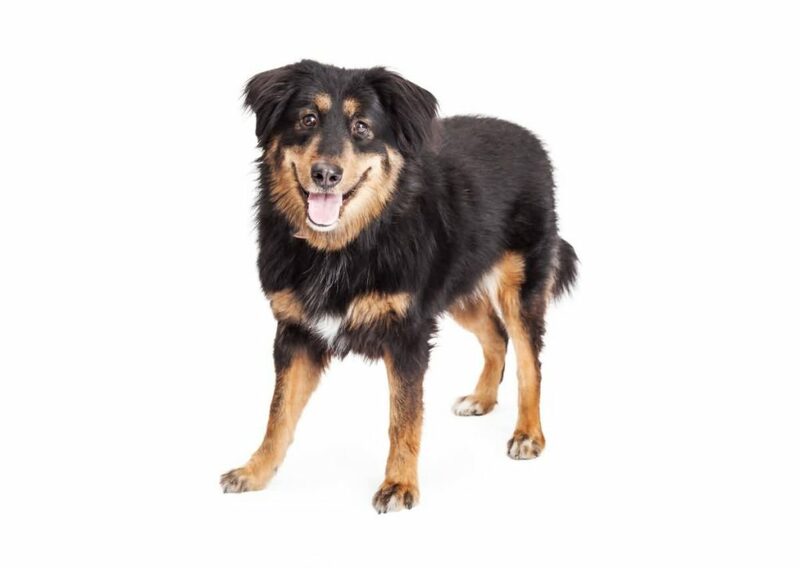 However, with the right training and care, any English Shepherd will make a great addition to the family. Make sure to leave a comment below if you’ve got any other questions or you want to share your own experiences! Hi, so I have an English Shepherd butch that is about 14 weeks old. I also have a German Shepherd that is 17 months old. I feedbboth dogs real chicken ( organic and pure of any antibiotics etc… ) but also use dry dog food as well. We want to know the best good for her. She loves my dog Xander’s food… which is specifically for GSD’s. He will not eat anything else. Well, Xoe the ESD loves it. It’s Royal Canin. Should I try to get her to eat something else? I can’t switch Xander, and it’s been excellent food for him. But for her, I’m sure that it’s not the best. Please help. Thank you. My English Shepard follows me around and just barks at me for no reason. like she wants something. I’m not sure what to do. She nips at me also. She does not do this to anyone else in the family. Just me. Can you give me a clue why? I feel like she is trying to tell me something but i dont know what to do.